1. An Oakland-based environmental group has sued several major retailers, including Amazon.com and Target, for selling children’s nap mats that contain toxic chemicals, the Chron reports. The group, Center for Environmental Health, noted that the mats contain chlorinated Tris, a poisonous flame retardant that was outlawed for use in children’s pajamas more than thirty years ago. The center based its lawsuit on a new Duke University study that showed that 22 of 24 nap mats bought in California and other states contain toxic flame retardants. The group also is suing retailers, including Bed Bath & Beyond, Walmart, and Babies R Us, for selling crib mattresses that contain chlorinated Tris as well. 2. Several environmental groups, including the Humane Society and the Audubon Society, are pushing for a new state law that would completely ban the sale of lead ammunition in California for all types of hunting, the Mercury News reports. 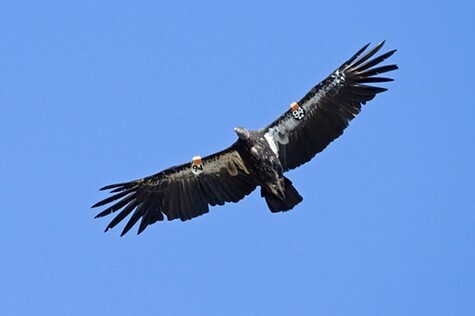 Lead ammunition already is banned for use in certain areas because it poisons condors, bald eagles, and other raptors that feed on animals shot with lead bullets. However, studies show that that ban has not been effective. 3. The Boy Scouts in California may lose its nonprofit status because of the group’s continuing bigotry toward gays and lesbians, the Chron reports. Although the proposed state law would apply to all youth organizations that discriminate based on sexual orientation, the Boy Scouts appear to be the only major group that would be affected. It’s unclear, however, how much the loss of its nonprofit status will cost the Boy Scouts. 4. “Dreamers,” young immigrants who are in the country through no choice of their own, are not eligible to receive health care under Obamacare in California even though the state has enacted protections for them, the Chron reports. 5. And the number of salmon caught in California last year was the highest since 2005, the Mercury News reports. The salmon resurgence was especially strong in the Klamath River near the Oregon border.